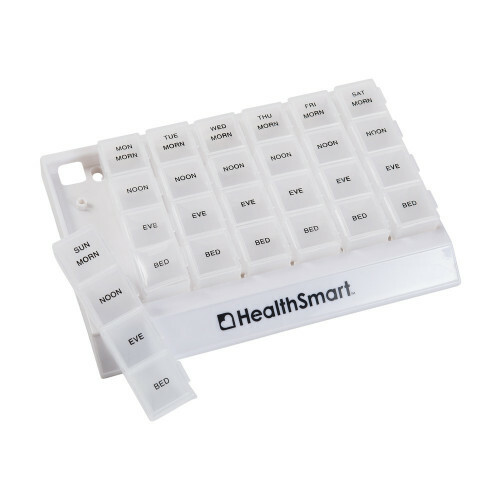 The Briggs Healthcare HealthSmart Weekly Pill Organizer Medication Planner is a large, full, seven-day tray to help manage and organize your pills and medication in order to keep you on the right track to maintaining a full life; amid your recommended medication or supplements. 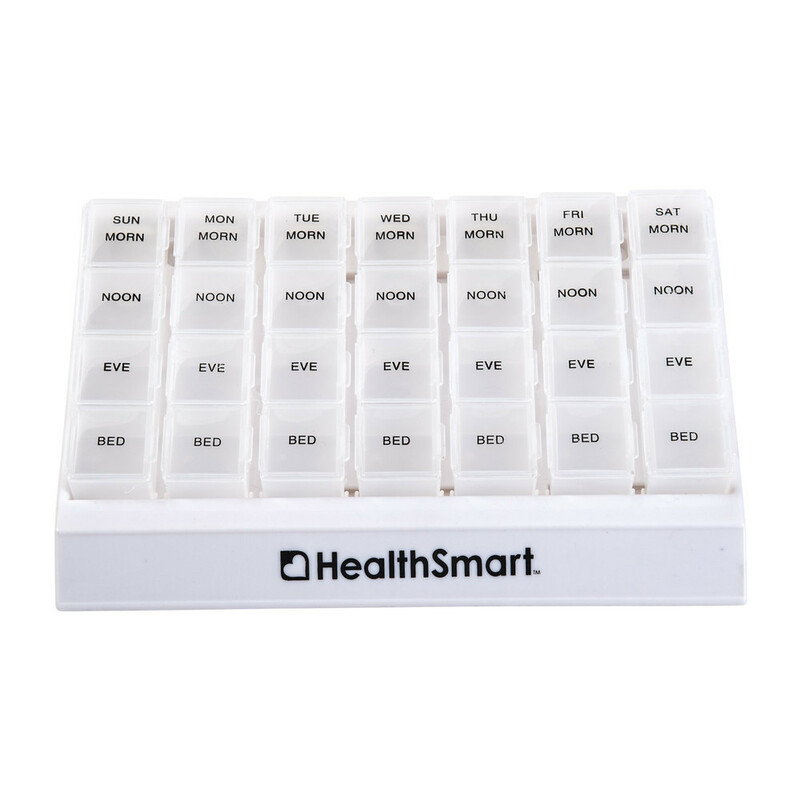 The HealthSmart 640-8223-0000 7-Day Pill Planner is designed with a large, black on the transparent backing lid in order to be seen clearly by people who may usually need to focus their sight on print with effort. The lids are large enough to fit even larger than traditional pills and can fit some standard sized tablets. With a quick release hand tray, a specific container can be taken upon traveling or out of the house for the day with still being able to individualize your morning, noon, evening, or night times for medication. 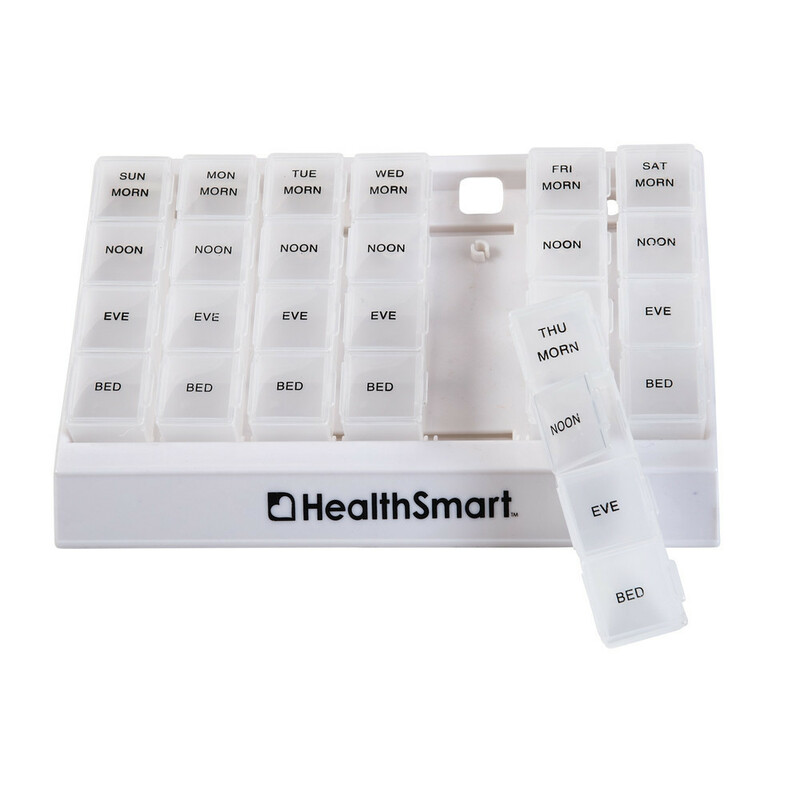 The HealthSmart Large Full 7 Day Medication Organizer offers the ease of monitoring your pill without fumbling around to see if you really did take your medicine; simply look over the container to the section in the day and see without needing to open it. The life of the Briggs pill organizer is made to last, durable caps keep going and will not wear out anytime soon; leaving you exposed with no lid - you can expect to get your times worth before having to purchase another pill organizer. For a more automated form of remembering to take your medication, you may be interested in the MedELert Automatic Pill Dispenser with digital clock alert and lock-and-key storage. Size of this product please-----measurements?